The label “pro-life” is thrown around constantly in America’s ongoing abortion debate. Many people interpret this label to mean pro the life of an unborn child and any life that society deems unworthy of the utmost protection. While this interpretation is not wrong, it is incomplete. After all, the word “life” refers not only to what a single human being possesses, but also to that transcendental, cosmic gift that unites us all on this planet called Earth. Life by its nature should be an immeasurably beautiful thing, but not everyone thinks it to be so. In life there is suffering and all sorts of other evils that often supersede divine beauty with demonic ugliness. How could anybody be pro such a thing? This may occasionally be the mentality of some men and women who choose to end the life of their unborn child, especially if the baby has been diagnosed with a terminal illness or significant disability. The baby’s life is not necessarily what they are primarily opposed to; rather, they might have an anxiety-ridden disposition towards life itself, a life that experience has taught them to be more cold and cruel than warm and loving. It may even seem religiously justified to save a baby from the hell of Earthly life and send him or her right back to God, especially if a life of severe struggles is inevitable. But how could a love-based religion ever be compatible with such a mentality? Even if Heaven is far greater than anything Earth can offer, did not God create this life as sacred and beautiful too? 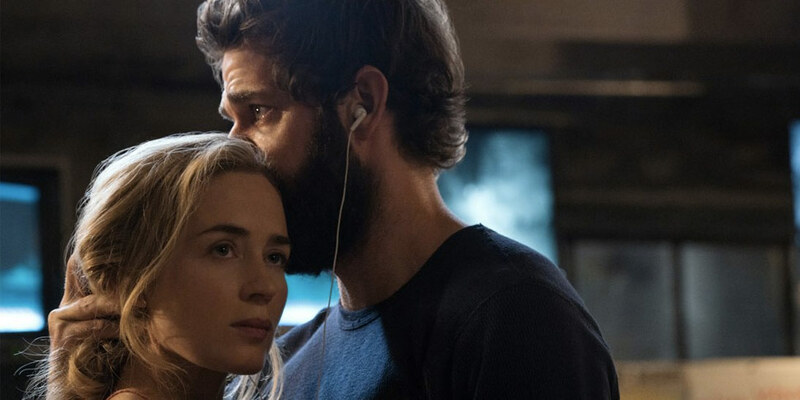 John Krasinski’s recently-released thriller A Quiet Place makes a surprisingly powerful and moving case for why we all ought to be pro-Life. Like any good scary movie, A Quiet Place does not open with the cinematic equivalent of flowers and chocolates. The world is in the midst of an apocalypse caused by vicious blind monsters that attack based on sound, and a little boy named Beau Abbott is heart-wrenchingly killed by one of these monsters when he turns on a loud toy rocket. Beau’s family is devastated by this tragic loss, but they are graced with enough strength to go on with life, each of them doing her or his best to quietly survive and somehow find peace and joy amidst fear and sorrow. Evelyn, the mother of the Abbott family, becomes pregnant again, and she is determined to bring this baby unto Earth no matter how fear-cloaked his or her upbringing will be. To her and her husband Lee, life is an immeasurably precious gift worth cherishing and protecting even in the worst of circumstances, and the joy that their new baby will bring and has already brought their family unquestionably outweighs the unavoidable anxiety they feel at having yet another child to worry about. In a transcendentally touching scene, Evelyn and Lee share a quiet dance together, and as they each beautifully cherish each other’s company, Lee’s hands slowly move down to where the baby is as his eyes express a joy and hope that words cannot adequately express. Because all terrifying things must happen at the absolutely worst time in horror movies, Evelyn’s baby decides it is time to leave her womb right when she is about to be killed by a monster that has invaded her home. Fortunately, a loud noise is made elsewhere that steals the monster’s attention, and Evelyn and her almost-born child are spared. She gives birth to a baby boy, and as the monsters continue to be an ever-imposing threat, her noble motherly instincts only increase and give her fears a direction that culminates in profound courage. Without giving too much away, the rest of A Quiet Place is filled with terror, sacrifice, familial love, and the inspiring affirmation that life is and always will be worth living no matter what horrible sufferings and evils are in our midst. In an earlier scene, the Abbotts join hands and bow their heads in a quiet, earnest prayer before eating dinner. While such a scene has been seen in countless movies about family, it bears a particularly poignant resonance here. The Abbotts seem to have ample reason not to believe in God or at least not to be thankful towards Him. Their precious son/brother Beau was brutally taken away from them, and their future is filled with immense fear and uncertainty. 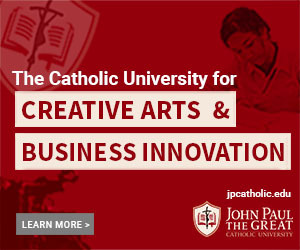 What business do they have lifting their hearts heavenwards and saying thank you? From the Abbotts’ life-loving point-of-view, they have every business doing so. They have lost much, yes, but they have not lost everything, and while the future is indeed flooded with fear and uncertainty, the despair of this flood will never overpower the hope of the rainbow that hovers above it. The Abbotts still have that imperfect but unchangeably precious thing called Life to cherish, and for this alone do they have all the reason in the world to be thankful. Is life cold and cruel? Yes. Is it warm and loving? Yes. So which characteristics should we take into greater consideration? A Quiet Place answers strongly that the latter ones are what will ultimately triumph and are therefore what we must first consider when constructing a philosophy of life. In a culture of death, the philosophy of life that most often surfaces states that while life has its fleeting pleasures, its sufferings are too numerous for it to be cherished deeply; those who do not have to experience it are lucky. On the contrary, the most dominant philosophy in a culture of life states that while life’s pleasures are fleeting and its sufferings are numerous, joy is different and far more beautiful than pleasure, and sometimes the worst of sufferings can lead to the profoundest of joys. God does not create any life that He wishes to be sent right back to Him; rather, He creates each person with a loving purpose that He hopes will be discovered on Earth before Heaven. Let us then be like the Abbotts and embrace a culture of Life, for Life and each person in it is worth loving and cherishing no matter what the difficult circumstances.